I don’t usually venture out Sunday mornings because after years in the food business, I’ve learned that the one day I was sure not to be working would be Sunday. (I’d eventually made it my sole criteria when choosing where I’d work that I’d only work in places that were not open on Sunday, or for breakfast). I also didn’t think that it was fair that I should inflict myself on others before mid-day. And when I first moved to France, I was happy that only markets were open on Sunday, although I was a little vexed to find out that every store and shop was closed – until I got hip to what a good idea it was since it forced everyone in town to relax and loosen up for a day. 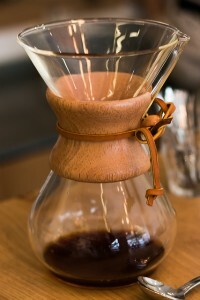 I’ve been dying to try some of the new “good” coffee places that have opened up in Paris but since I don’t drink coffee later in the afternoon (the disadvantage of a lifetime of working nights are persistent sleep issues) the idea of crossing town for an afternoon cup wasn’t in the cards. However since it was Sunday morning and the rest of the city was barely waking up, and I saw the sun finally shining outside, I took a leisurely hike up the barren streets and boulevards near Montmartre to KB, for a cup of Australian coffee. When I was in Sydney, I practically melted in relief to find great coffee and to see the care they took at places like Single Origin with each and every cup. And the day before I left the country, I had a single, absolutely perfect cup at Bills – which was so good, I almost cried. Look, I’m not one of those people who can’t make a cup of coffee unless I have a thermometer and a scale. In fact, I’m pretty simple; every morning I make a café au lait with my moka pot, and after lunch, I make myself an espresso. So I’d forgotten the simple pleasure of going out and having a coffee at a place where the people preparing the coffee actually care about what they’re doing. I don’t drink them often, so I thought I would order a mug of drip coffee, although the menu has everything from espresso macchiato to a ‘flat white‘ – as well as real iced coffee and milkshakes. 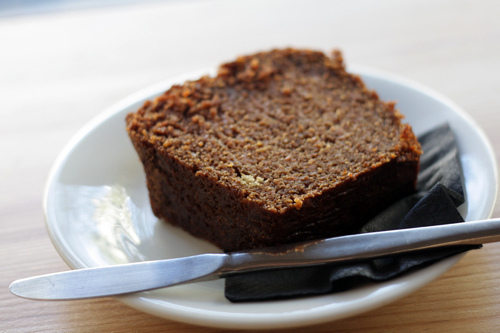 But after a nice chat with the counter person, who suggested I try the coffee from Java, I took the hefty slab of carrot cake that he cut for me to my seat, navigating the maze of chairs, to wait while he made my coffee. It was obvious from some of the empty bowls and plates around the café that brunch was popular – and admittedly, I was tempted by the big glass canister of house-made muesli on the counter – but was glad I ordered le cake (pronounced kek, in French), which was moist and slightly spiced, the perfect partner for the coffee, which had a somewhat sharp, less “roasty” coffee flavor that I was used to, yet similar to the other coffees I’ve had from Java. I’m still anxious to get back to Australia some day, but KB has upped the game in Paris and it’s no longer a twenty-three hour flight to get a flat white…which I just might go back and get later this (early) afternoon. I’ll always remember this cheap espresso I had in Syracuse last year… it really opened my eyes to what really good coffee can be. And although I try to buy quality coffee from a small torréfacteur, my home coffee doesn’t quite match the incredibly flowery, fruity, intense taste I had in Sicily. All this just to say, I can’t wait to try one of those places in Paris ! One of the great mysteries of life is why an espresso is 80 centimes in Italy at the bar, and €1.20 in Paris. Paris is an expensive city, but so are Rome, Torino, and Florence. But yes, having a good espresso is really a great experience. I drink as many as I can when I got to Italy. Kooka Boora is great isn’t it! I am from Australia and Single Origin and Campos are two of my most missed things (Next to family and friends of course) haha. Funny you wrote about this today as I was in the 9th this morning and considered a stop off there.. Great minds! David I understand your sleep dilemma as I am always up late working or creating or attempting to wind down! 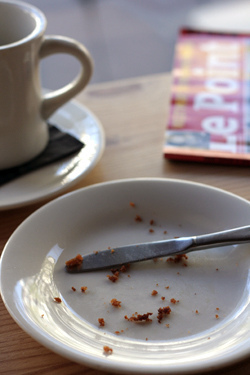 What a great spot you chose, the Cake sounds delish with the coffee. I love the name Kooka Boora as well it has always intrigued me! I laughed at the flat white. When I moved to Australia from Florida I was asked what sort of coffee I wanted. I certainly didn’t say flat white back then but now it just rolls off my tongue. Coffee IS well done here. I just visited this place for the first time a few days ago, and it was fantastic! They are also very kid-friendly, making a special “babycinno” for my toddler (steamed milk with marshmallows on top). Great place! I love this place. 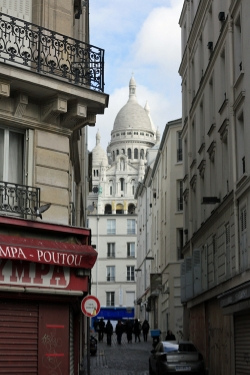 I stayed in Montmartre back in October and I literally started off every single morning at this place. It’s very laid back. They speak English. They have a lovely bathroom AND they make great coffee. The Aussies are owning coffee in Paris! Must go back and reread your Australia blogs. Our son, who lives there, told me to get a flat white while we’re traveling around after his wedding. I can’t remember what it means, but I “mean” to hit some of the places you mentioned. I will be visiting in May and writing an article for a regional USA magazine. Look forward to trying this delicious coffee shop! Thanks! 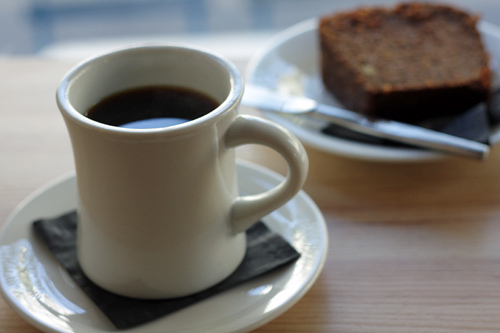 A well-made cup of single-origin drip coffee is a revelation. Glad to hear it’s made it to Paris- I’ve heard good things about the coffee at Le Bal as well. I had to comment to say that I miss everything being closed on Sunday. Not only is everything open, it’s open like regular business hours now, too (at least in the SF Bay area) It started at Christmas and has worked it’s way to all year long. Grrrr-(eedy) How’s a person supposed to gather family and friends (that work retail) for a Sunday BBQ or dinner? This drives me crazy! This inspires me to get out in my own city and check out different places. When I travel , I love checking out places alone, but hardly ever do it in my own town. This needs to change, stat! Hi David, from your mates down under. I love the name – Kookaburra, pronounced with a unique Australian accent. 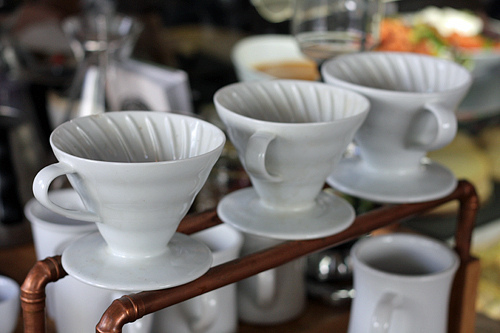 I love your photos too, especially the line up of Hario V60 drippers. Brilliant! Sounds like Aussies and Kiwis are doing a great job with the coffee scene in Paris. David, I love Sydney too, but I’m sad you didn’t get an invite to Melbourne. I do hope you get back! I’ll take two slices of that cake, too. Please. This place sounds great! Next time I am in Paris I’ll have to check it out! I so love good coffee and can’t believe how bad some places get it. I am at present living in Shanghai and have found within walking distance several good coffee places. There is even a Costa where I can get my daily fix of flat white. Know where to go if I find myself in Paris. Their iced latte is nothing short of divine. If you go early in the morning they have all their freshly baked cakes lined up to cool on their work counter and the whole place smells just wonderful. The lemon poppy seed cake is a winner as well. It was one of our best Parisian discoveries two weeks ago. 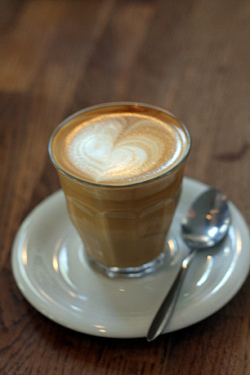 You have to come…to Melbourne, our coffeehouses are the BEST. We live and breathe coffee and morning noon or night there is always somewhere to get a great coffee. BTW, I love Bills in Sydney, its our go to place when in Sydney for brekkie, but melbourne stills rocks! My sister lives in Jakarta and she knows now that whenever we meet up, she has to bring bags of coffee beans for me, and I mean a lot. One time when visiting her, I had to buy another small suitcase to bring back all the coffee I had bought, and the aroma when I opened it at home, heavenly! Indonesian coffee has become my favourite and there are so many to choose from, from all around the many islands. There is something for every taste. I live in the Middle East and the one thing I have discovered is, coffee beans are actually much cheaper to buy than instant coffee (which is usually imported from the US and hence very expensive, considering what it is). Arabs love their coffee shops and they are more prolific than bars/pubs in the West. I was always a tea drinker but since living here, I’ve become quite the aficionado. Being a 100% born-and-bred Italian gal, I thought I knew coffee..until I moved to Sydney a few years ago! These aussies know coffee, they are quite obsessed with it (i married a coffee enthusiast who even forums about the perfect brew on coffee snobs.com!) and these days, going out for a coffee in Sydnay or Melbourne is quite a treat. next time you are in Sydney, you must travel to the northern beaches, to Avalon, and try the coffee at Swell! I recently had to travel to Kiev via Paris, and the first thing I noticed in Kiev was the nice coffee. Now, I have no idea whether it was objectively excellent, or whether my baseline has been affected by what I drank in Paris. But since I work in Paris on regular basis, I started to drink less coffee in general. I always assumed that I simply didn’t know where to go, but I see that I am not alone in discovering that the Parisian coffee scene could be better. Yes, it’s a field that’s wide-open here and it’s great that some folks are starting up coffee shops that take care when making coffee and cups of espresso. I’m hoping more people do the same – in various neighborhoods. What a wonderfully thick slice of le cake. mmm drinking good coffee on a relaxed sunday morning. nothing better. I just to live just around the corner from this place. It’s definitely one of my favorite coffee places in Paris! It’s usually packed in the mornings, especially on weekends, but always feels laid-back, no matter how many people are in there. And David, the house-made muesli is delicious. Some of the best I have had. You should definitely go back and check it out! I also was somewhat under-impressed with coffee (and unpretentious service) at Café de la Paix at la Place de l’Opera – the heart of the city (can I call it the heart of Paris?.. :) Who knew Paris has “coffee problems”. Hopefully, it will change with all these new places opening up. As for Kiev coffee, maybe Ukrainian people have a “feeling” for coffee. There is a small place near Boston University that is run by Ukrainians. They make fabulous coffee, and they love what they do. Another place with great coffee, and pretty central (rue de l’Hôtel de Ville) is Caféothèque (http://www.lacafeotheque.com). Nice atmosphere, friendly staff, big choice of coffees. 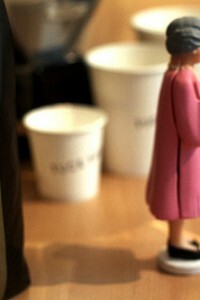 Oh, the pleasures of drinking good coffee made by people who care! It is one of the things I really truly miss and could almost cry thinking about. My options here (came from Seattle!) are Starbucks. It’s just not the same. oh..after reading this post.. i could do with a cup of coffee right now… i seriously could!! I’m staying for a few days in a tiny place miles from anywhere here in NZ. Naturally, there is a cafe and naturally, the coffee is immaculate. Kiwi and Aussie cafes slowly colonising the rest of the world is going to make travel a lot nicer! I’m putting this place on my list of places to go when I finally make it to Paris! What is the picture of the coffee in the glass cup with the heart on it…looks yummy! Lovely! I loved cafeotheque when I was in Paris (on your recommendation), I must try this place the next time I visit. The carrot cake looked delicious! 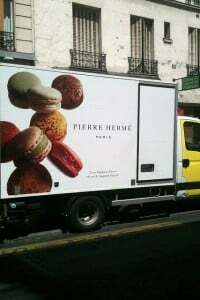 I’ll have to check them out next time I’m in Paris. How was their drip coffee prepared? Was it a rich bold flavor or more mild and watered down? 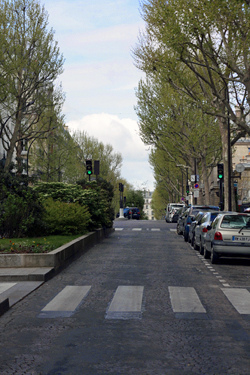 Thank you very much for linking to the piece on Kooka Boora on I Heart Paris – very much appreciated! I went there, and although the cappuccino wasn’t as good as at home, was definitely worth the time spent going there, and how not to mention the promenade in rue de martyrs… that actually made my day. It was raining this sunday, but walk in the middle of these lovely smells of baguette was a real pleasure. If you live in Italy, it’s hard to find better coffee anywhere. I always drink as much as I can when I’m there, which is probably why I have so many sleepless nights there! But for Paris, places like Kooka Boora are a big leap forward. There are some Italian places that have good coffee here – which I listed at the end of the post – but it’s nice to have the Australians strut their stuff as well, since the coffee I had in Australia was amazing.